When I arrived in Ts’oeneng I assumed the village got its name from the rock atop its mountain that looked like the profile of a monkey. Ts’oene means “monkey” in Sesotho. Later, I was told a couple of other origin stories. There used to live troops of monkeys in the caves near the mountain summit, that’s where the village got its name. Shrouded in fog in the photo above, you can’t see the village well, but it is all around the foot of the mountain. Then there is a clan in Lesotho called Bats’oene, which you might translate as “people of the monkey” — that’s their totem animal. Maybe the village was settled by them. Regardless, Ts’oeneng Mountain was something I looked at every day. This photo was taken from my house on the Ngoana Jesu school grounds, looking east, on a summer morning. I’m very glad that you had a “taste” of this historical place!I do live in T’soeneng,I’m part of Bat’soeneng clan.A monkey (t’soene)is known as the most clever living animal but it’s so surprising that we were not allowed to travel during the night because we were told that monkeys would take us😀. I enjoy listening to old men talking about their experiences when growing up, believe me the rich history about T’soeneng is dwelling on their tongues! 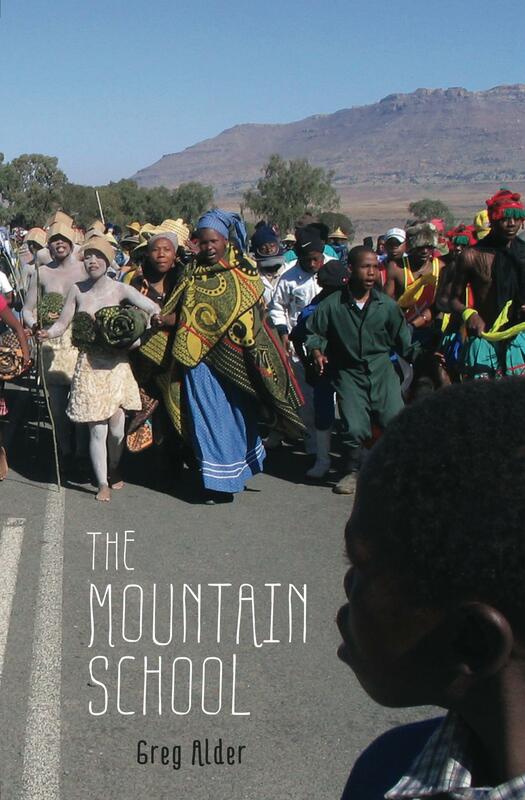 I'll send you an email when I post something new related to The Mountain School.